We invited my husband’s second cousin, T-chan, her brother T-kun, and her boyfriend P-kun. The cook was my husband. The dinner was supposed to start from 6 but he could afford to take a nap at 4. 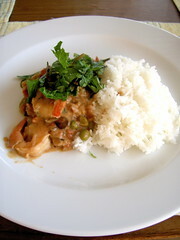 He picked up 2 Thai recipes from Nigel Slater’s cook book which we got from his sister at Christmas. 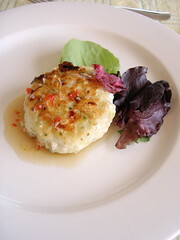 The appetizer was fish cakes and the main was Prawn green curry. 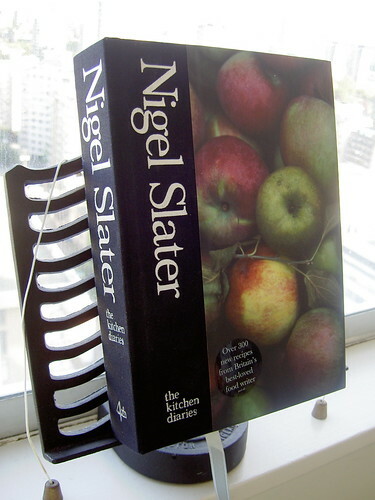 Nigel Slater is a food columnist of the British weekend newspaper, The Observer. I just read his article about why he cannot be a vegetarian and I agree. Apparently his recipes are popular for its simplicity and deliciousness. Of course my husband’s dishes weren’t ready at 6. We invited our guests to our kitchen and my husband cooked. The cooked dishes were seriously good. 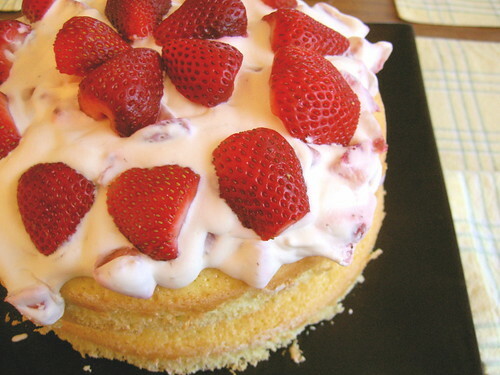 T-chan baked the strawberry cake. The sponge cake that she said she learnt from her grandma was fulfilled with lemon flavour. The cake was humongous but five of us finished it all.